I love the tart, acidic taste of balsamic vinegar paired with savory ingredients like garlic and onion. Roasting these vegetables with the balsamic brings out the sweet component of the vinegar as well. I love to pair this dish with a nice chicken breast stuffed with ricotta cheese and prosciutto. YUM! Preheat oven to 400° Line a rimmed baking sheet with aluminum foil or parchment paper. 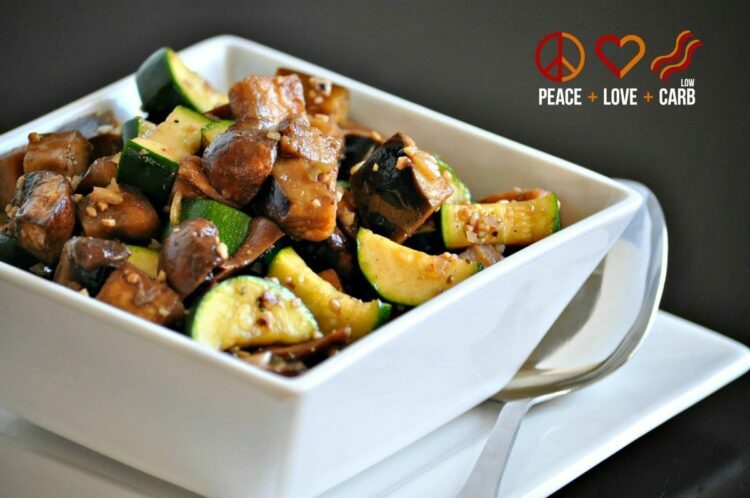 In a large mixing bowl, combine eggplant, zucchini, mushrooms, garlic, rosemary, olive oil, Balsamic Vinegar, onion flakes, sea salt, and black pepper. Toss until vegetables are coated and ingredients are well mixed. Pour mixture onto baking sheet and spread in a single layer. Bake for 40 minutes, tossing every 10 minutes. 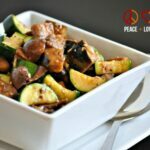 Hi Kyndra, I just wanted to let you know I featured this recipe in my Low Carb Gluten-free Zucchini Recipes roundup. I hope you’ll get some visits coming your way! This is a fantastic recipe, I even added the veggies to whole weath Fusilli for a simple meat free dinner. Everybody loved it. Thank you!